1. One month ago, Rory McIlroy was the prohibitive favorite to win the Masters. Since then, he's been mostly MIA, while Jordan Spieth has been all over the top of the leaderboard, including today at the Shell Houston Open. Rory? Jordan? Bubba? JB Holmes? Who's your pick to win the Masters and who's your darkhorse candidate? Michael Bamberger, senior writer, Sports Illustrated: Bold-face name to win: King Louis. Dark horse: Vijay Singh. Gary Van Sickle, senior writer, Sports Illustrated (@GaryVanSickle): Bubba Watson feels unleashed at the National and his short game has looked sharp but I don't see how Jimmy Walker isn't a pick to win. He's got a total game. Darkhorse would be the Return of Paul Casey, former wunderkind. He's been playing well again. Eamon Lynch, managing editor, GOLF.com (@EamonLynch): Most of the marquee names have issues that could derail them in a hurry this week. Rory's putting is streaky; Phil's is mediocre; Tiger is afflicted with chipping yips; Bubba's hair-trigger attitude is apt to unravel at a moment's notice. But Spieth, on the other hand, is supremely confident, putts with fearless 21-year-old nerves, and finished T2 in his one previous appearance. He has to be considered the favorite. As for a dark horse, I'm going for Brooks Koepka. Sure, no rookie has won since Fuzzy Zoeller in 1979, but he hits it a mile and is a solid putter — and that often goes a long way at Augusta National. Joe Passov, senior editor, GOLF Magazine (@JoePassov): Jordan Spieth is playing so well, with so much confidence and is fresh off a runner-up finish in 2014...but I still like Rory. Pressure is kind of off him, whether it's due to Tiger's presence as a welcome distraction, or due to his own low-key status right now. Dark horse goes to Paul Casey. In his last five starts, he's got a T2 a T3 and ninth at Houston, where conditions mimic Augusta National. He's also got three Top-11 finishes in the Masters to draw from since 2004. Cameron Morfit, senior writer, GOLF Magazine (@CameronMorfit): I don't know why but I think we're going to be surprised, big time, as we are from time to time at Augusta. Bill Haas wins. Jordan Spieth and Phil Mickelson tie for second. Jeff Ritter, senior editor, SI Golf Group (@jeffritter): In the past few months, Spieth and Jimmy Walker have established themselves as the true 1A and 1B favorites this week. Rory's in the discussion, but he hasn't flashed his best form this season and Augusta isn't exactly a happy place for him. If the weather holds, Bubba is my pick to win — he's playing better now than he was a year ago at this time and, uh, I've heard Augusta is a pretty good fit for him. Dark horse is Fred Couples, who won't win but should validate this pick with another sneaky top 20. Josh Sens, contributing writer, GOLF Magazine: (@JoshSens) I took Snedeker at 30-to-1 (for entertainment purposes only, of course). He's been working with Butch. He's been close at Augusta before. And the putting stroke is as pure as ever. Coleman McDowell, assistant editor, Sports Illustrated Golf Group: (@ColemanMcDowell): Jimmy Walker leads the Tour in birdie average, is a killer putter and hits it over 300. That formula travels. Bubba’s best finish before his 2012 breakthrough was 20th. In-between his two wins, he finished 50th. Bubba might lease Augusta at times, but no one owns it. Rory’s best is better than anyone else’s, but he needs to make it through a Masters without a round over 77, something he hasn’t done in his last five tries. As a dark horse, I think Hideki Matsuyama will find a way to be relevant on Sunday. Alan Shipnuck, senior writer, Sports Illustrated (@AlanShipnuck): I've already made so many picks in so many places I'm getting my favorites and dark horses mixed up. The winner will play the par-5s in -10 for the week. The dark horse is a guy who should've won more tournaments but hasn't - lotsa possibilities here. Pick one. 2. On Friday, Tiger Woods committed to playing in the 2015 Masters. You are betting your house: does Tiger make the cut? LYNCH: I wouldn't bet Tiger's house on him making the cut. Given his struggles, I think the best case scenario is a middle of the pack finish, and even that seems unlikely. The negatives that would accompany a worst case scenario are so much more damaging than any positives he might possibly take from the week. BAMBERGER: If Tiger were playing with his house on the line, I'm sure he'd make the cut. Yes, I think he makes the cut. He can shoot 144 there even if he has to putt all day from off the green. RITTER: How exactly did I put myself in a position where the deed to my house hinges on Tiger's Masters-week performance? I'll play the odds: his record this season tells me that a ten-car pileup is more likely than a sudden resurgence. I choose MC. PASSOV: How can anybody answer this? OK, if you're a bettor, you would have lost a bunch of money and real estate betting against Tiger Woods in the past. Remember 2010, when after a long, long absence from competitive golf, he figured out how to tie for fourth? He's a huge mystery. If his chipping woes have abated, yes, he'll make the cut. He's just that good and he knows Augusta that well. If we see him in Waste Management Phoenix Open form, it's adios after 36 holes. I'm betting my house on his success — so long as my junk-filled garage goes with it. VAN SICKLE: It's not the hardest cut to make in golf, what with some amateurs and some geezers mixed in among a small field. I have never liked betting against Tiger but if he plays away from his weak points — as in using the putter or a hybrid from off the green instead of chipping — I think he can make the cut. Talk about a guy who really needs tournament reps, though. It'll be amazing if he plays on the weekend and good for golf. I'm not convinced he can do it but I really don't want to step on his neck when he's down. MORFIT: There's no way I bet my house that Tiger makes the cut when it's so iffy that he'll even get through 36 holes without an injury. Plus the chipping issue is a huge concern. That said I really hope he plays well. To go out there and stink it up again would just deplete his confidence even further, and if we've learned one thing from his decision to play it's that the game really wants him to come back. SENS: My house sits on an earthquake fault in drought-stricken California, so you can have it either way. But if we're making a big wager that really matters, I think he'll miss. It may be the weakest field of any major, and this may be his favorite event. But bringing the chip yips to those humps and hollows brings some seriously big numbers into play. Can you imagine what happens behind the green at 12, among many other ticklish places where the short game he showed in Phoenix would yield a quadruple in an eye-blink? MCDOWELL: Last year, Sergio, Phil, DJ and Patrick Reed all missed the cut, proving making the weekend isn’t guaranteed for anyone. Especially those who cannot hit fairways or get up and down. Given what we’ve seen from Tiger in 2015, he will be forced to rely to local knowledge and guile to get around Augusta. Ask Ben Crenshaw or Tom Watson. That’s not enough. 3. Lee Trevino revealed that Tiger Woods' coach, Chris Como, called him earlier this year to ask for advice on teaching chipping. If you were Tiger, who should you have sought out for sage short game wisdom? LYNCH: Trevino has much to offer Tiger, but as Top 100 Teacher Brady Riggs astutely pointed out, Lee's short game technique doesn't necessarily translate well for Tiger, or for playing Augusta National. Since the greatest short game player of all time is gone (RIP, Seve), I'd nominate Gary Player. Player didn't win nine majors with length. He did it with short game savvy and a stout work ethic. And I don't imagine he'd be shy about sharing his counsel. BAMBERGER: Tiger his own self, circa 2000. That is, his own tape collection. Bring in Butch and Steve Williams for a consult. VAN SICKLE: Nobody knows more about the yips, whether it's with the putter or driver or wedge, than Hank Haney. He wrote a pretty good book about it that nobody read because nobody wants to admit they have the yips. But Tiger has crossed Hank off his list of living people at this point. PASSOV: Trevino's a brilliant pick, as a return to pure feel and imagination. I would have recommended Gary Player. Can't say where his chipping ranks all-time, but in terms of sand play and self-belief, he's No. 1. Tiger has needed some technique help, sure, but he's also been lacking in confidence, and Player would be of huge help in conveying that. SHIPNUCK: Paul Azinger. He was a genius with his wedges and is not afraid to tell hard truths. RITTER: What other elite player has suffered this kind of chipping affliction? I don't think there's anyone else to call. Tiger has to find the answers for himself. SENS: First, I would have asked a shaman to dial up Tiger's younger self. But for flesh-and-blood instructors, Trevino's seems as good a choice as any: icy, like the young Tiger, and not overly technical. MCDOWELL: 2001 Tiger Woods, who led the Tour in scrambling. If he is busy, call 2002 Tiger Woods, who also led the Tour in scrambling. If he doesn’t pick up, call 2009 Tiger Woods, who also led the Tour in scrambling. MORFIT: That's a hard one but I think Tiger needed or needs help psychologically more than technically. He knows how to play golf. He knows how to chip. There's just been a mental block. 4. The Augusta weather forecast calls for high heat and humidity with likely thunderstorms throughout the four days. If the predicted weather comes to pass, which players does it help, and who does it hurt? LYNCH: It won't help Ben Crenshaw. A soggy course will always favor long hitters, but it also brings great wedge players into the mix when there is little roll and layups are common. Players who are both could benefit — guys like Jason Day and Henrik Stenson. It will be interesting to see how it affects Bubba. He's phenomenal off the tee and he ranks well statistically on the longest approach shots, but can he handle the disruptive effect of weather issues? It's unlikely he will find himself laying up to wedge distance, which is just as well: statistically he's one of the worst wedge players on Tour. BAMBERGER: If the course actually plays soft, and it almost never does, if favors Rory, Dustin Johnson, J.B. Holmes. It only really hurts the guys who are playing to make the cut: Mike Weir, Larry Mize, some of the ams. MCDOWELL: As Bubba Watson said during a soggy round 2 at the PGA Championship last year, “Water on the clubface, bro. I’ve got no chance.” So if it rains, count him out. SHIPNUCK: It helps Rory massively if the course is softer and slower. Bubba, too. It hurts Spieth, who's not nearly as long and needs to use his short-game to separate himself. RITTER: Storms could help Rory, who has a track record of major success on long, soft courses: Congressional, Kiawah, Valhalla — even Hoylake was softer than a typical British Open. Heavy rain might hurt the persnickety Bubba Watson, who won his two jackets in idyllic conditions. PASSOV: Rory McIlroy has always benefited from soft conditions, and he will again in 2015. All the delays and rapidly changing conditions will boost the experienced, patient player — thinking Jim Furyk, Justin Rose. Slightly slower greens will help Phil Mickelson, as the game's best putter from 12-20 feet can be more aggressive. Tiger will benefit in the short game from a little extra nap on the greenside surfaces. High heat and humidity will affect the less fit players (and journalists). Unpredictable greens will hurt Adam Scott's shaky putting. Sloppy conditions might take away Jordan Spieth's advantage, considering how pure he's been striking it all year. VAN SICKLE: If it's wet and soft, that helps the bigger hitters who may still be able to reach the par 5s in two. If it's so wet that almost no one can reach them, then it'll swing back in favor of the short hitters since everyone will lay up and now it's a wedge contest, a club they excel with or they wouldn't be on tour. Wet and soft describes the conditions Rory McIlroy has won all four of his major titles on, by the way. SENS: It's less about being a bomber or a mudder than it is about staying in a positive mindset. It will help the guys who embrace the conditions and hurt those who don't. The other so-called rules of thumb aren't very reliable. Zach Johnson won on a rainy week, when the course was supposedly playing too long for a pea-shooter to win. So much for that theory. MORFIT: Rory McIlroy will be helped the most. He knows how to win on a big, wet, slow course. He's done it before. Who does it hurt? Zach Johnson. 5. 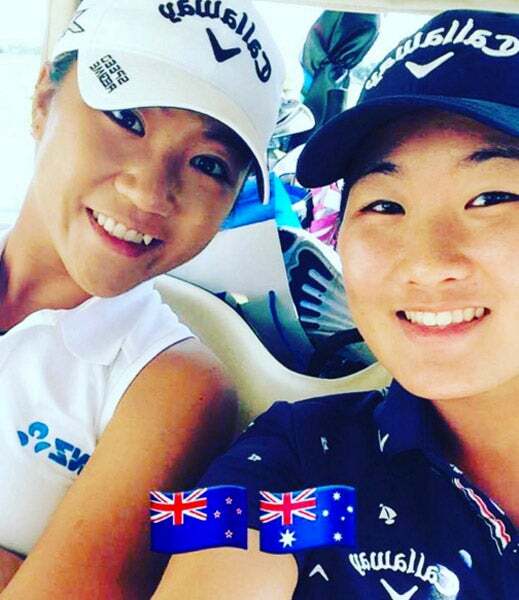 Lydia Ko matched Annika Sorenstam's LPGA Tour record for most consecutive rounds under par at 29. The feat and the (unsuccessful) attempt to break it was drowned out in the buzz department by Tiger's announcement that he was going to play at Augusta. Where do you rank Ko's streak on the importance meter? PASSOV: Massive golf clap for the amazing under-par rounds streak from Lydia Ko — but not much more from me in terms of accolades. It's one of those records that's very cool, and indicative of how consistently great she's playing, but it's also one of those records that nobody cares about. Can you tell me who the current men's leader is, or who's best of all time? If you can't tell and you don't know, it's not that big a deal. She may go on to break every one of Sorenstam's records, but these days, it's all about the majors and Ko is still looking for her first one. MCDOWELL: No 17-year-old should be this good at anything, much less atop the ranks of a professional sport. Ko is a phenom in every sense of the word, but golf fans get more jazzed about Rory’s scriptings for the Masters. It doesn’t make sense. BAMBERGER: Not very important. Par is subject to human manipulation. Cut streaks are not. Wins are not. Top-10s are not. LYNCH: It just reaffirms what is blindingly apparent: Ko is measurably better than any of her peers at just 17. RITTER: It's a tremendous accomplishment, and the lack of buzz around it says more about the state of the public's appetite for Tiger news, and how we in the media cover him, than it does about Lydia. SHIPNUCK: It certainly speaks to her consistency and determination, to say nothing of her talent. But wins are what move the needle — a win at the Dinah would've been far more impactful. VAN SICKLE: Scores are nice but wins are what count. Ko's achievement is important in the sense that it's pretty obvious that she is and will be the new sheriff in town on the LPGA circuit. And she's going to keep getting better. Practice hard, ladies. SENS: Ko is a ridiculous, under-appreciated talent and I love watching her. But the streak itself? Meh. Our ready access to data and our obsessive need to quantify everything in sports produce a lot of information that I have a hard time getting too excited about. Most holes without a bogey? Most consecutive cuts made? Etc. and so forth. Wake me when we start talking about the steely shots under pressure down the stretch — of which Ko has pulled off plenty. 6. What do you most look forward to during Masters week? SHIPNUCK: Eating peach cobbler while sitting on the back porch of the clubhouse. Heavenly. MORFIT: I just love how perfect that course looks every year, all the kids in baggy coveralls at the Par 3 Contest, and the drama on Sunday. Always drama. BAMBERGER: I am eager to see Tiger over his chip shots and pitch shots, because how often, in sports or in life, is a person's internal dialogue so obviously on display. RITTER: Two things stand out: the history is so palpable as you stroll around the grounds. I love that feeling, coupled with the anticipation that something significant could happen while I'm there, as it could every year at the Masters. No other event offers the same visceral combination of history and anticipation. VAN SICKLE: Walking down the 10th hole, about a 110-foot drop from tee to green, is one of the most amazing walks in golf. The hole is surrounded by the cliche cathedral of pines, it has long shadows and lots of magnolias and azaleas. The view from the green back toward the tee is breathtaking — it's not a golf hole, it's a ski jump. LYNCH: The CBS commentary. The entire team is so anxious about stepping on one of Augusta National's many language land mines that the broadcast feels about as relaxed as a hostage video. It's oddly entertaining. MCDOWELL: I have only attended one Masters, and it’s an event that truly lived up to the hyperbole heaped upon it. Last year, I walked the back nine during the conclusion of the par-3 tournament on Wednesday with the sun slowly setting and the course relatively vacant. Each hole evokes a different memory of Masters lore. SENS: Sneaking out for an early round on a nearly empty course near me, and wrapping up in time to watch the leaders tee off. PASSOV: Watching King Arnold hit the opening tee shot on Thursday is always awesome. 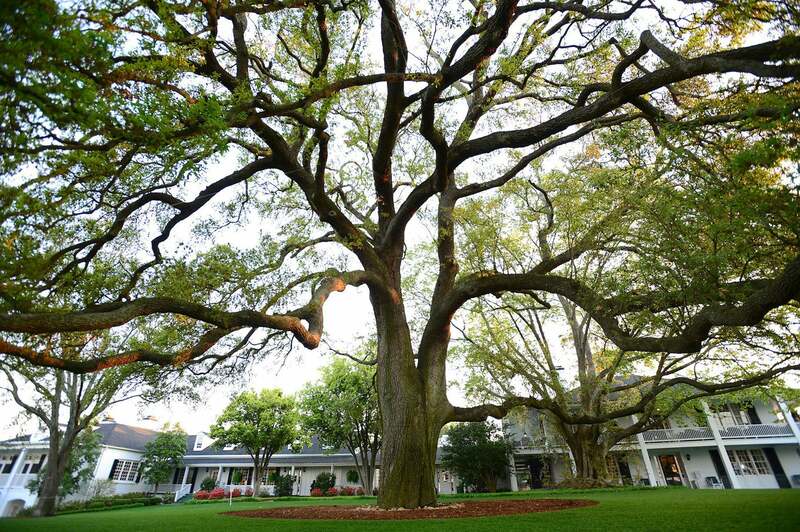 That first conversation with an old friend under the sprawling live oak behind the clubhouse is special, and so is the first stroll down the massive sloping fairway at 10, in anticipation of taking in the critical action at Amen Corner. As jaded as we get, returning to the traditions that make the Masters the Masters never gets old.